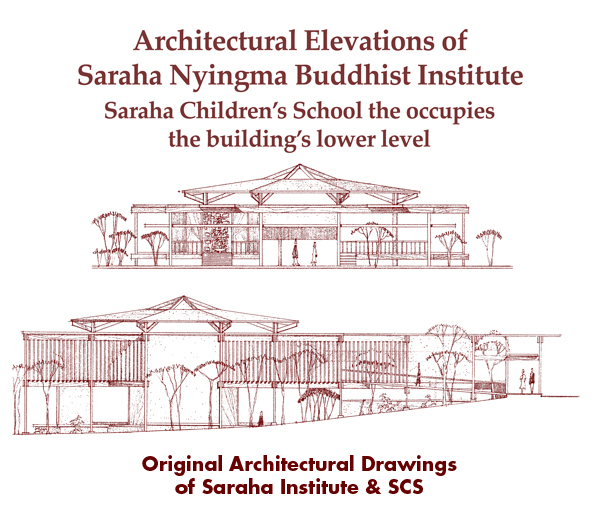 Saraha Children’s School resides within the Saraha Nyingma Buddhist Institute’s 7,000 square foot educational & temple facility and upon its beautifully forested 2.5 acre campus grounds. During the weekdays, when school is in session, SCS occupies and utilizes this entire space as its own. For example, for the first class period of the day, the entire student body assembles “upstairs” in Saraha Temple to meditate, and receive child-oriented introductory teachings in Tibetan language and lessons of the Dharma. Children also enjoy their lunches upstairs. Throughout the day, children have supervised access to the School’s large playground, to the West of the School, and to the natural forest to its East.